Nimi Sunilkumar – “The greatest challenge in life is doing what people say you cannot do”. Hi I am Nimi Sunilkumar from Munnar , Kerala . I am a cookbook author, food blogger ,food photographer, culinary demonstrator, freelance writer, teacher ..
Its been more like juggling a lot of professions but trying to stitch everything together. Its always been the most unexpected of twists and turns that come up in my life. 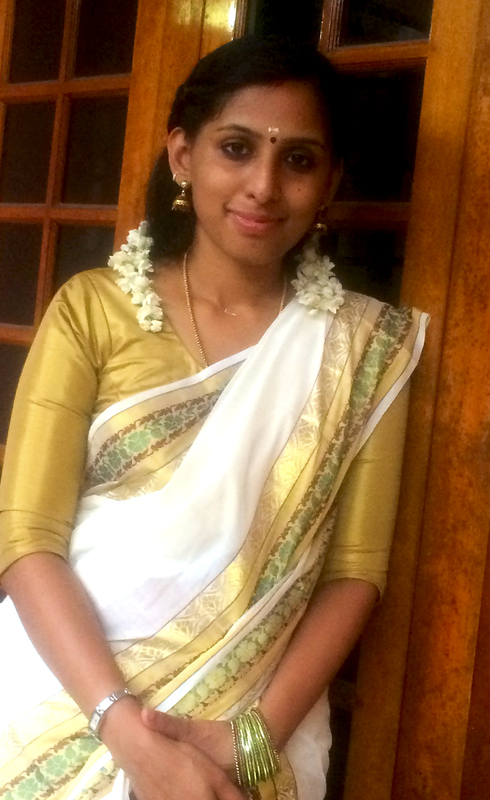 Born and brought up in Abudhabi, after my tenth grade my parents were very keen on continuing the rest of my studies in Kerala. Took up science batch for 11th and 12th grade and after finishing it joined for Electronics and communications in Coimbatore. After my second year of my course I went for a tour to Munnar with my family.Stayed in a hotel there and while we were waiting in the lobby for check out on the final day, I was called up to the front office by an elderly man who later on turned out to be my father in law. Yes, it was my father in law who was very much impressed by me that he wanted me to be a part of their family and soon his son’s wife. Never had guessed in my wildest dreams that a leisure tour would cause such a turning point in my life.In a weeks’ time my husband comes over to see me and by the next week I was engaged to my husband. Although everything was in pure arranged manner I was very particular that I would get married only after completing my course. I was the youngest in my college to get engaged by 19.Within the span of one year I wholly understood that the family that I was soon going to be a brick of, wanted me to be a housewife. I had plans to do more with my life and expressed my views of continuing with my writing skills which were with me from my school years. After marriage, soon I was writing for one of India’s leading magazines,” Womans Era” and “Alive”. I started off on topics in and around Munnar which later on moved on to many controverting issues. My husband being an avid food lover has always been my prominent critic in my passion for cooking.In 2009 my husband joked as we were chatting and asked me why I don’t write a book checking on my interest in recipe collection. 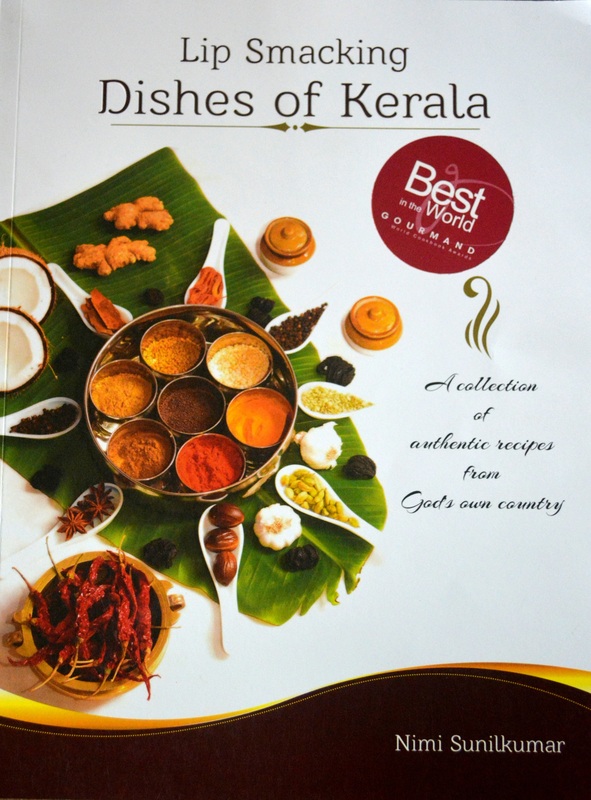 I was pretty sure on what topic my book was to be in, and it was on Kerala cuisine.I started of my blog ,Nimi’s Culinary Ventures (www.nimisrecipes.com) the same year. Being a first timer it was hectic being the only person behind my book.All the photographs work were done at home. My book took its form by the end of the year, 2000 copies were printed and sold out by 2013. After my first book in 2009 I had been pestering my better half on plans to start off my classes. Nothing actually happened for about six months on the classes as he was very demanding on the space and where it would be possible. At last one fine day in 2012,I designed my own flyer on “Nimi’s Lip Smacking Classes”, gave a copy to my husband and one to the tourist office next door telling them that I was going to start my cooking classes on Kerala cuisine and if someone was interested , do let me know. Everyone thought that I was purely crazy enough to start off on the weirdest ideas when I could be a happy homemaker. In between all these my sons had started off their schooling and after a few workshops at their school, I was asked to be a part of the school .And so there started me in school as a teacher for cooking as part of the work education plan and as a coordinator of their dinner block . There’ s so much of dreams that I still behold….. within me. Dreaming big with the will power that being yourself is the best thing in life , taking up the colours of challenges drenched head over heels in the passion to achieve more ! Very much inspiring , to all the women who fears in taking a challenge. Really proud of you.